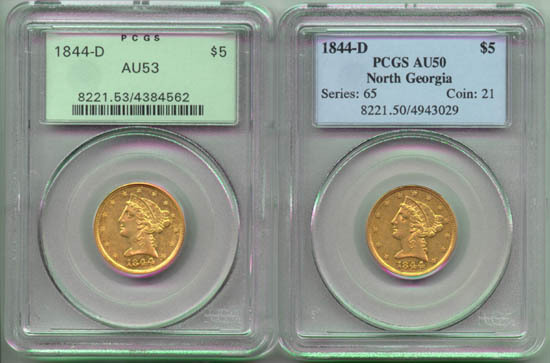 Depicted are the obverses of two 1844-D half eagles. 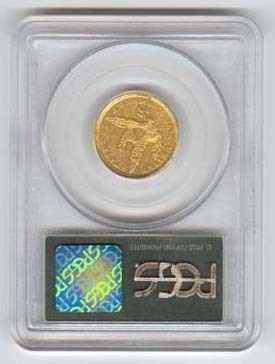 The coin on the left has the normal reverse and the coin on the right has the 180 degree rotated reverse. Source: The Carl Lester Collection. 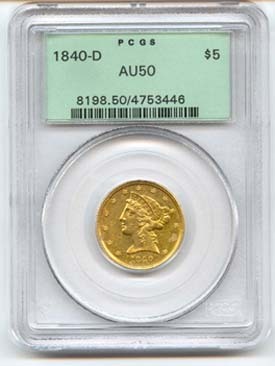 Depicted are the reverses of two 1844-D half eagles. 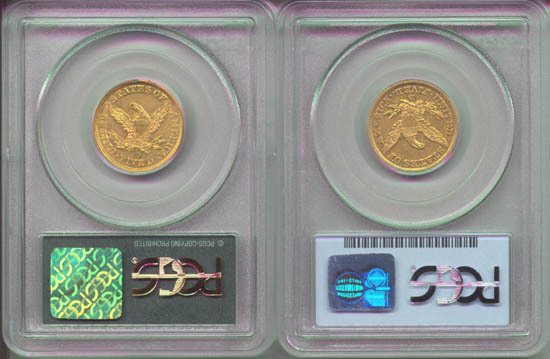 The coin on the left has the normal reverse and the coin on the right has the 180 degree rotated reverse. Source: The Carl Lester Collection.